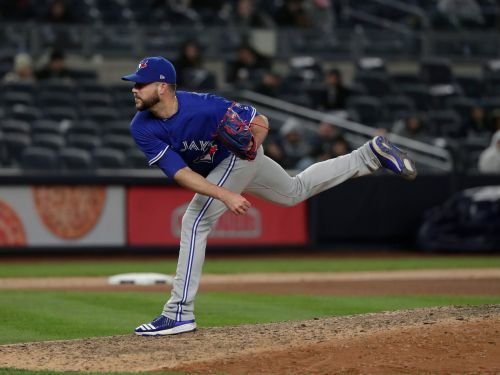 ST. PETERSBURG, Fla. (AP) — Reliever Ryan Tepera has gone to salary arbitration with the Toronto Blue Jays. Tepera asked for $1.8 million during Wednesday's hearing and the team argued for $1,525,000. A decision by arbitrators Mark Burstein, Howard Edelman and Edna Francis is expected Thursday. Tepera, a 31-year-old right-hander, was 5-5 with a 3.62 ERA last year. He was on the disabled list between June 27 and July 15 with right elbow inflammation. He earned $574,700 last year and was eligible for arbitration for the first time. Players lead 3-1 in decisions this year. Houston shortstop Carlos Correa, Oakland closer Blake Treinen and Tampa Bay outfielder Tommy Pham won, and Washington outfielder Michael A. Taylor lost. Seven players remain scheduled for hearings through Feb. 15.